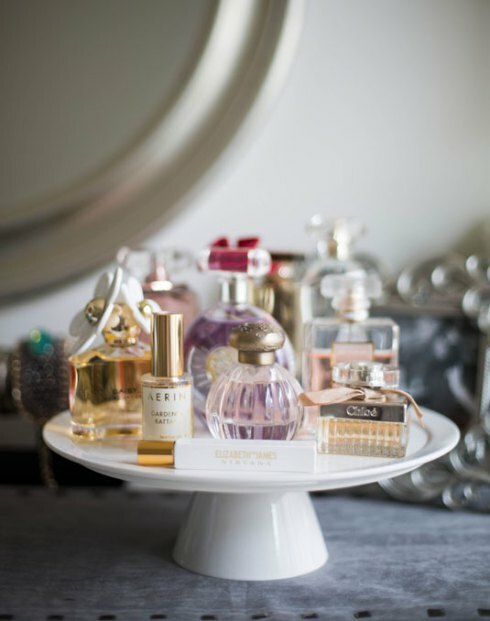 Sparkle Beautiful | Because beauty should be fun! Unfortunately, I suffer from chronically dry lips. I have a very dry skin type as it is, and lipsticks just don’t agree with me if I don’t put the effort in. I also have mild eczema, which likes to come to the party on my face pretty regularly! So over the last few years I’ve spent a good deal of time trying to figure out a lip regime that actually works for me and allows me to keep wearing the lipsticks I love without wrecking my mouth. 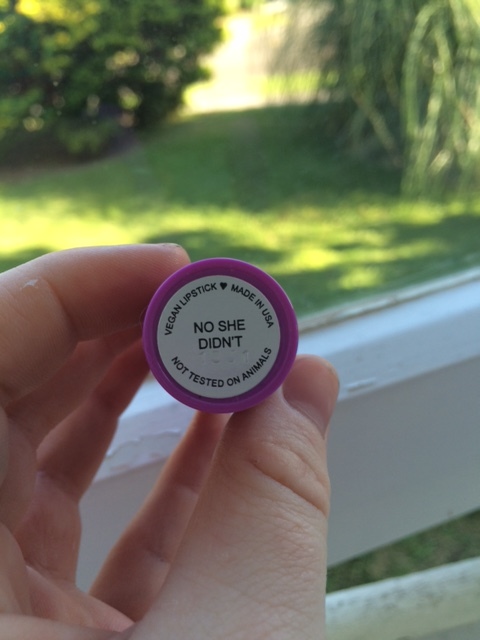 Sometimes I’ve found what I thought was my holy grail lip product, only to find that after a few months, it stops working. This regime that I follow now I’ve been using for over a year, and it’s still working, which makes me pretty happy. 🙂 It doesn’t stop the excema, but it does prevent my lips forming those nasty cracks and flaky patches that used to plague me. What I love about this regime is that it isn’t too expensive, and the products are easy to find at your supermarket or mall. Perhaps you could try it and see how it works for you? I put this on whenever I feel dry. I’ll sometimes put it on top of my lipstick if it’s a matte formulation, but it tends to break up the lip colour, so if I’m wearing lipstick and feeling dry I’ll usually wipe it off, apply the lip cream, blot, and then apply the lipstick again. It sounds arduous, but with lips like mine even creamy lipsticks are a bit of a hazard. 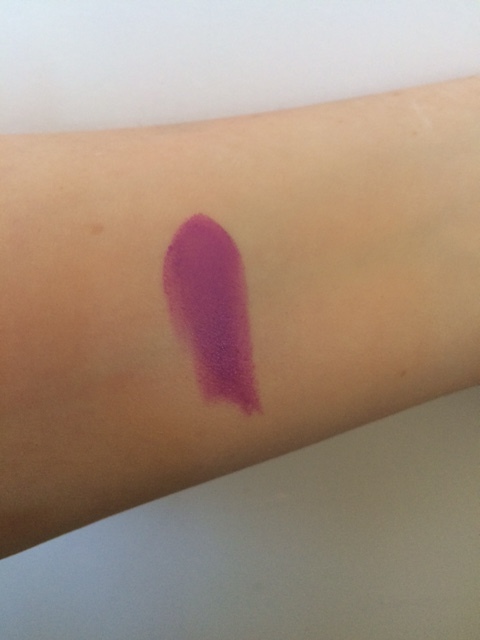 If I just want to add some sheen to my lipstick, I just dab a bit on the middle of my bottom lip, and it has a nice subtle effect without breaking up the colour. The balm has a chemical strawberry scent and to be honest isn’t the best tasting, but it’s nice and thick and actually soothes my lips, rather than just adding moisture. It lasts for a long time, so when I’m out in the sun or wind I feel like my lips are actually protected, rather than just moisturised. I feel like it improves my lip texture as well. 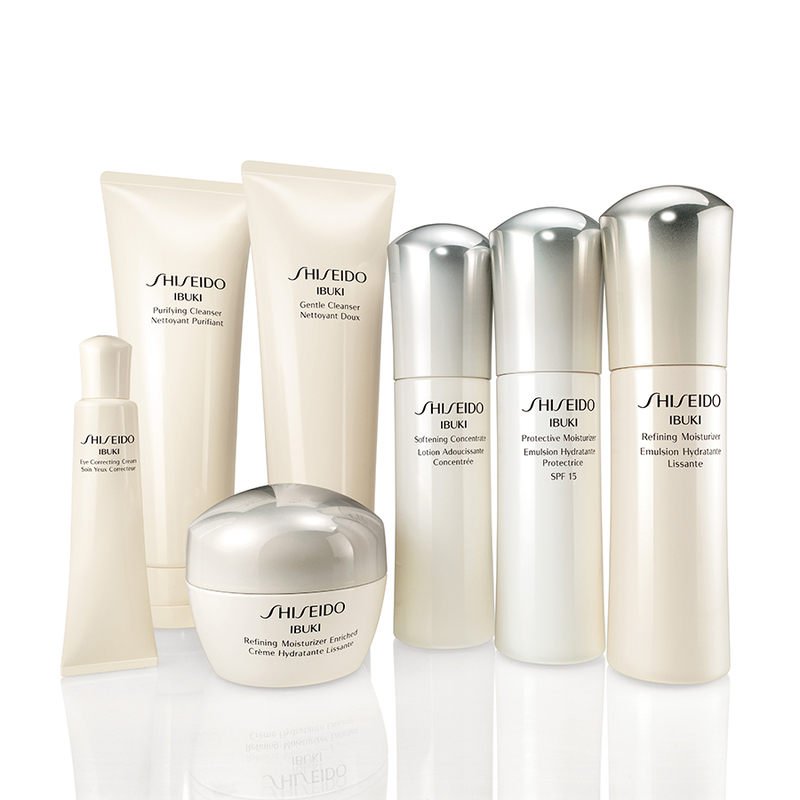 The benefits of applying targeted products at night have been well documented: while you sleep, skin renewal is faster, your skin is more receptive to active ingredients, and your temperature is slightly higher, which allows products to absorb better. 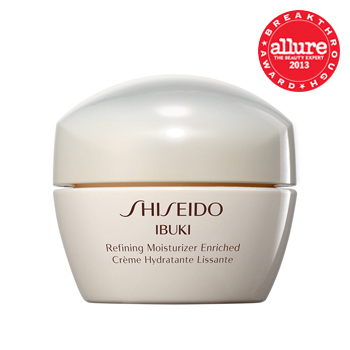 I slather this on thickly before bed, and when I wake up in the morning, my lips feel nice and moisturised! I like the texture in particular, which is watery and silky. 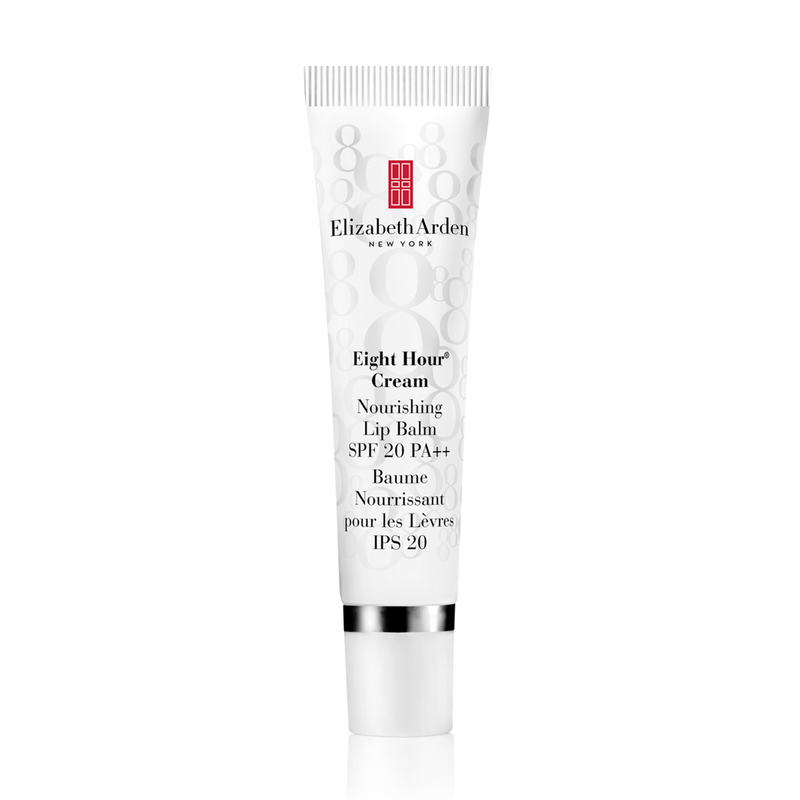 It soaks into the lips quite rapidly, which allows me to put on a few layers in a short amount of time. When I don’t use this at night, I definitely notice the difference the next morning. 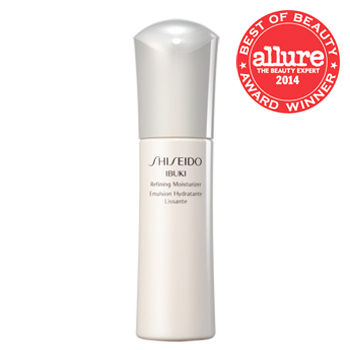 This is also useful to layer under a lipstick, since it soaks in fast and smoothes out any flaky patches. This is mostly sugar, flavouring, and salt, but boy is it delicious! It’s a gentle scrub that you rub on with your finger or an old toothbrush and then lick or rub off. I like it because it’s so gentle, although I admit that the flavour is a big drawcard. It tastes slightly salty, sort of caramel-y, kind of sweet and sour… Yum! This is a good product for people with dry lips, because a lot of lip exfoliators are very harsh, and we only need the flakes removed, not our lips! The other problem with having dry, flaky skin is that our lip colours tend to ‘bleed’. This is most noticeable when I use dark, vampy colours, which is so annoying as it ruins that sharp, crisp line I want! 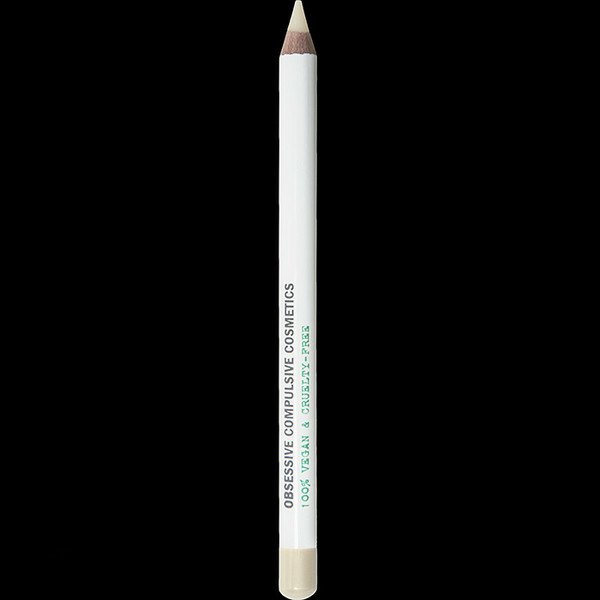 So before I apply lipstick, I use the OCC Anti-Feathered Clear Primer Pencil. 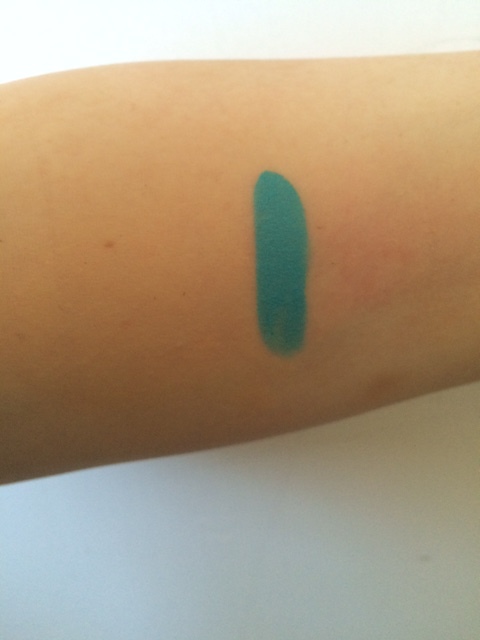 This is a very creamy, clear pencil that I run around the outside of my lip line before I apply lipstick. 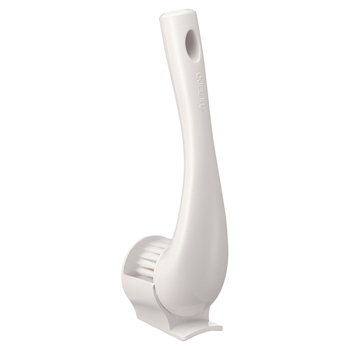 It stops bleeding before it even happens, and I’ve found that it actually helps the moisture level of the skin around my mouth. I reapply it maybe once a day if I’m wearing a dark lippy: never if I’m wearing a light colour. I really love this pencil and have replaced it a number of times! The only downside is that the pencil itself doesn’t last very long: I have to sharpen it after every use as it wears right down. So that’s my lip routine! By following this, I am able to wear the lipsticks I want without wrecking my mouth or having the colour come up patchy and horrible. Let me know what you do for your lips in the comments! It’s summer in New Zealand at the moment and I love having cool baths at the end of the day to wash away all the dust. 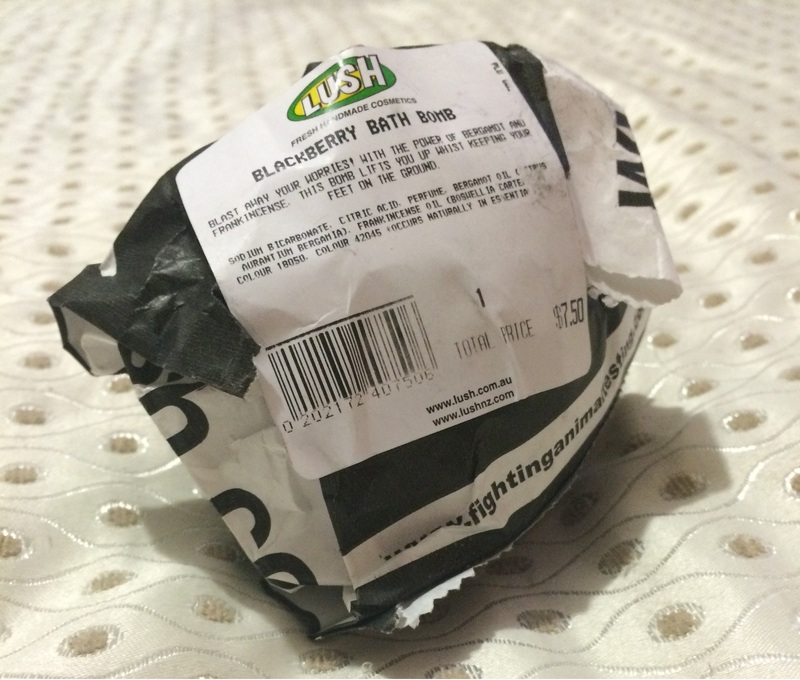 And what better way to do that than to use a Lush bath bomb? 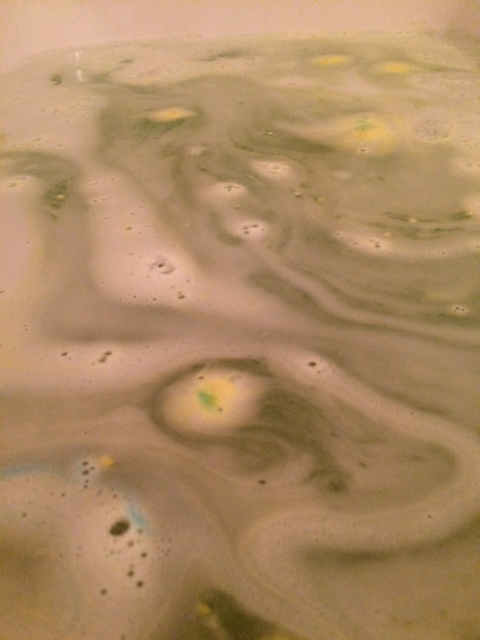 I waste a lot of my life in baths with Lush bath bombs… But is it really a waste when they’re so pretty and relaxing? I picked up a Fizzbanger at my store during the Boxing Day sale, and finally got to use it last night after one monster of a day! There’s something so nice about Lush in general. I think it’s the simple packaging that lets the yummy smells out! You get to sniff what you’re about to use, and the wrapping just makes you feel all ethical and eco-conscious. I spend far too much money in there. Remember: if you buy many of their products in pots, clean and keep them, and when you have five you can swap them in store for a free face mask! This is the bomb itself. 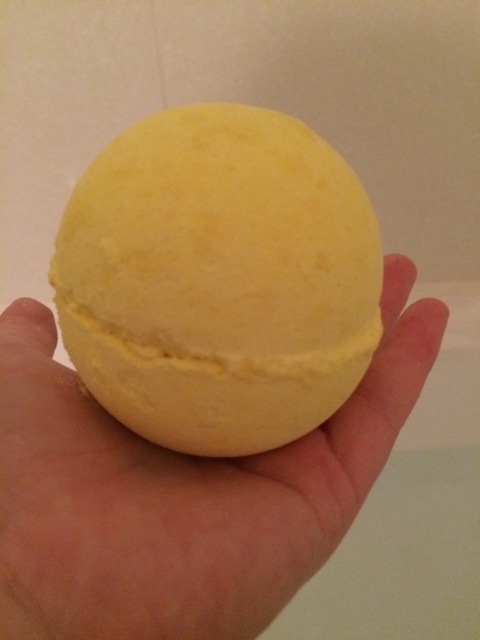 It’s a big, yellow ball, and pretty hefty. 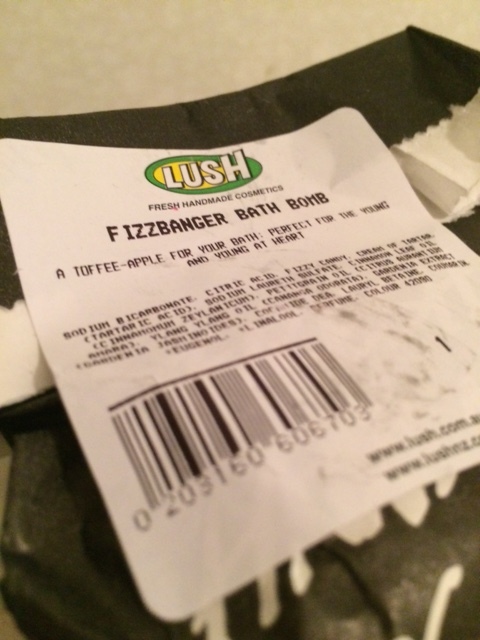 Fizzbanger is an unassuming bomb, but like so many things, it’s what’s inside that counts. And the scent? To die for. It shares its scent with the Gorilla perfume Love, which I haven’t tried before. 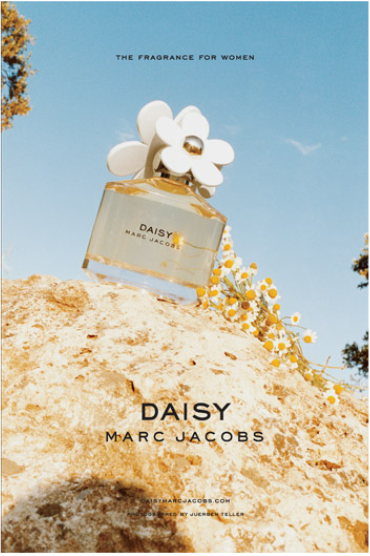 It reminds me of a toffee apple: warm and cinnamon-y with apple and a hint of lemon. It’s really delicious, and I’m considering picking up the perfume when I’m next in the store. 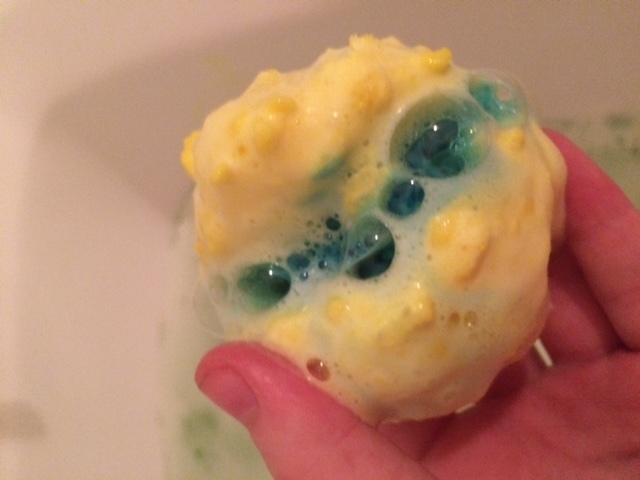 As you can see, Fizzbanger looks yellow at first, but then it opens up and leaves beautiful swirls of blue and green in the water! 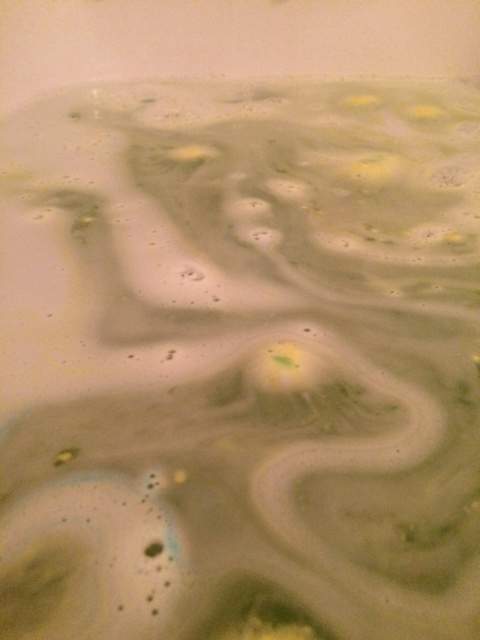 My bath ended up green, which went rather well with the toffee apple scent. 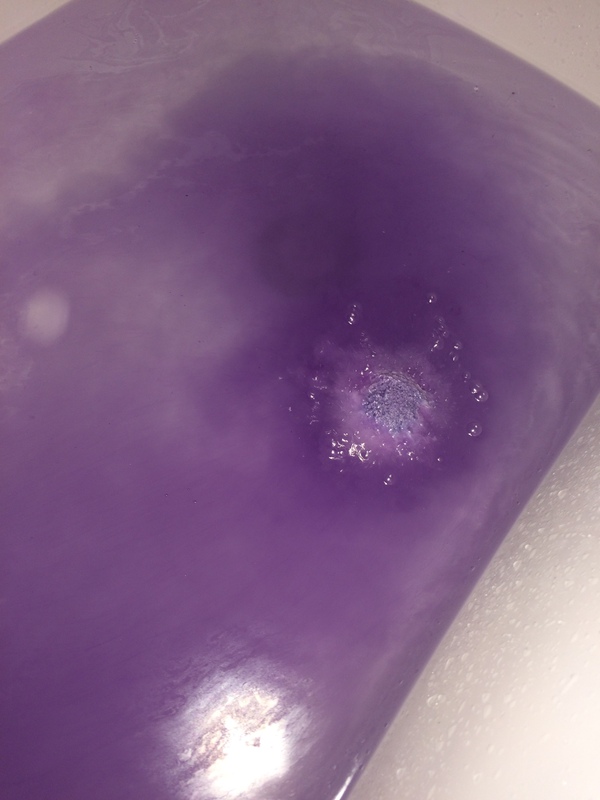 It didn’t leave any residue in the tub when I drained the water, which was nice. It’s usually the pinks and purples that stain my bath. 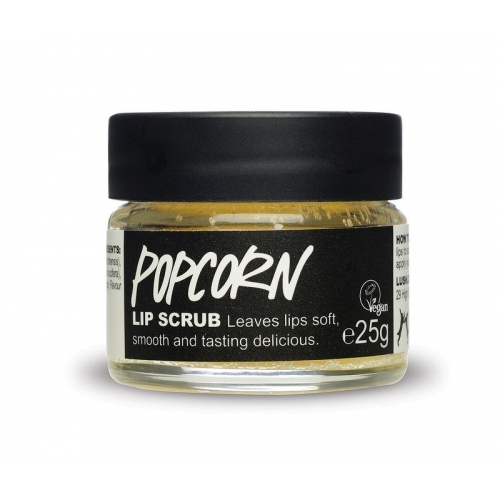 It says on the Lush website that it has popping candy in it, but to be honest I didn’t notice them at all. No popping, nothing. Perhaps I’m going deaf? It also says on the website that there is meant to be a piece of paper with the word ‘BANG’ on it in the centre, but this was mysteriously absent. Perhaps they don’t do this with the New Zealand stock? Personally I don’t mind, as pieces of paper in the bath remind me of plasters in the swimming pool. Erk! The water felt nice and silky! My legs were dry afterwards, though, so I did need to put on some moisturiser, and my elbows were mildly irritated. To be honest, most bath products do this to me anyway, so I wasn’t too bothered, but I thought I’d include this just as a small word of caution for anyone who has very sensitive skin. Overall, I give Fizzbanger a 7/10. I took off some points for the way it reacted with my skin, but overall I was really happy with the bomb. I felt much better after my cool bath with this baby! Anyone who knows me will tell you that I LOVE bright colours. The brighter, the better, in my opinion. And what’s more fun than bright makeup? Absolutely nothing! 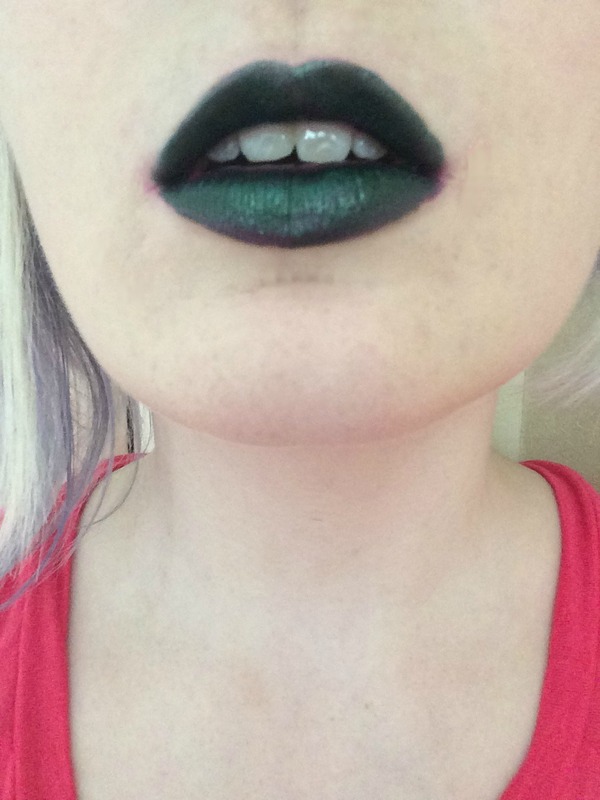 So it’s no surprise that I am in love with Lime Crime lipsticks at the moment. 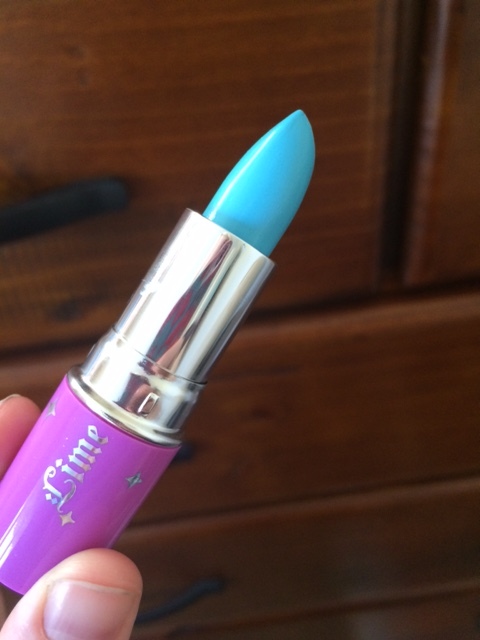 For those of you who haven’t heard of the brand before, Lime Crime is a US-based makeup brand owned and run by Doe Deere. It has eyeliners, lip glosses, eye shadows, and glitter pigments, but the lipsticks are the real stars of the show. In a range of eye-popping shades, they are pretty much the bomb! They are matte, opaque, generally very creamy, and come in super-cute packaging. 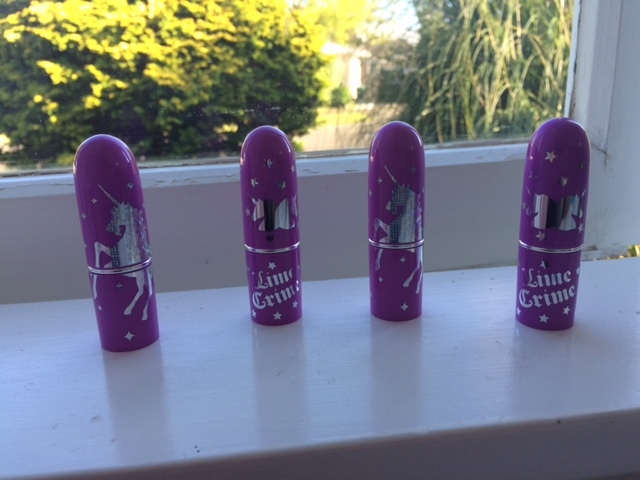 I’ve had a couple of the lipsticks for awhile now, but the other day I heard the terrible news that LC has ceased all supply to New Zealand and Australia! For now we aren’t sure why, but once the stores that sell it run out of their current stock, the only way to get hold of any of LC’s products is to buy directly from their website. Now this isn’t fun when you live so far away from the US, as shipping costs an arm and a leg! So I decided to go on a wee spending spree while I could still buy from NZ suppliers, and came away with four yummy new lippies (and a much lighter wallet)! So I thought, why not take some swatches and photos of my new goodies so my lovely readers can see what they look like? 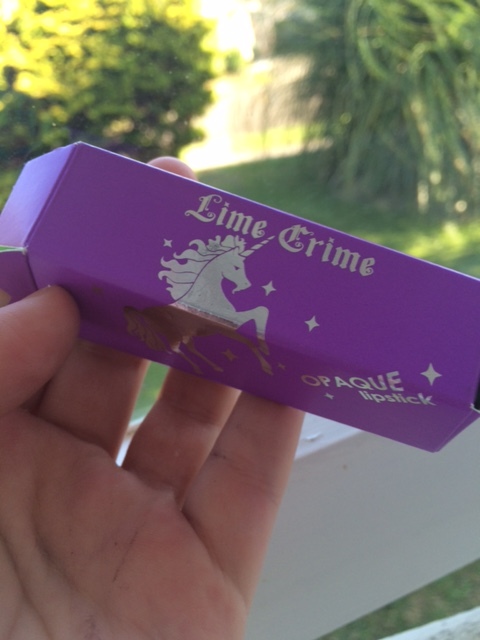 This is the standard box, which is the same purple as the tubes themselves, with LC’s signature unicorn on the front. I didn’t get a picture of the inside, but it was lime green, which was a cute touch. 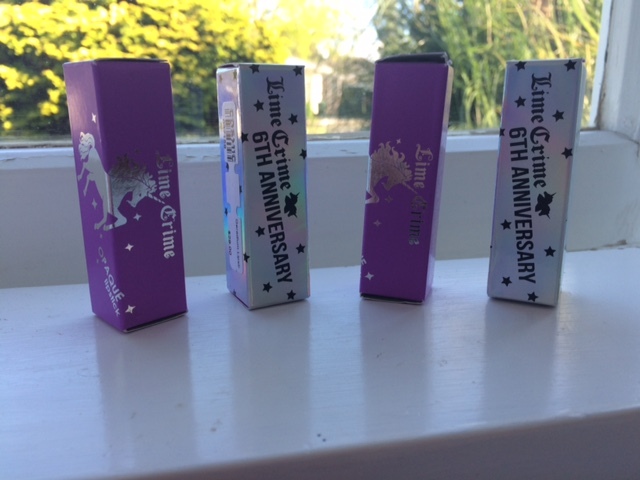 This is the second box, which carries the limited edition lipsticks that came out for LC’s birthday release. 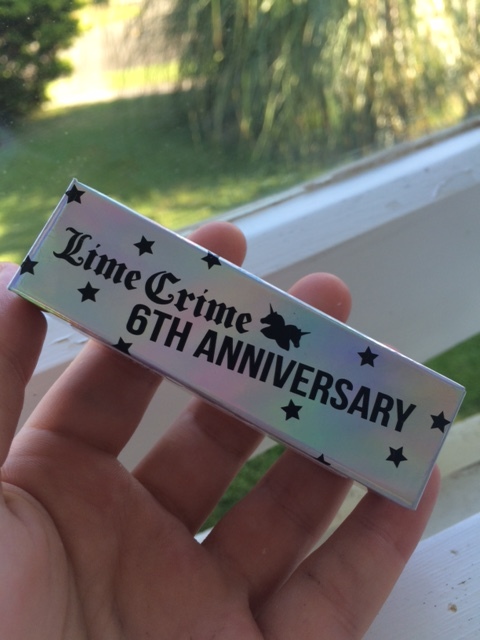 It is a holographic silver, which you can sort of see in the picture, with a small unicorn and the words ‘Lime Crime 6th Anniversary’ on it. These came out of the boxes, looking all purple and pretty! One design has a full size unicorn, while the other design has two unicorns back to back. I personally like the second design, as it still looks cute, but looks a bit more grown up than the full sized unicorn. I like cutesy designs anyway, but I think that for someone who is used to the classic black designs of most other lipstick brands (eg. MAC), this might be a bit full on for them! The tubes seem sturdy to me, although I have read about some people’s tubes cracking, and I think that the designs might rub off if you let them roll around in your handbag for too long. You might notice that the colour is a bit muted on my lips. 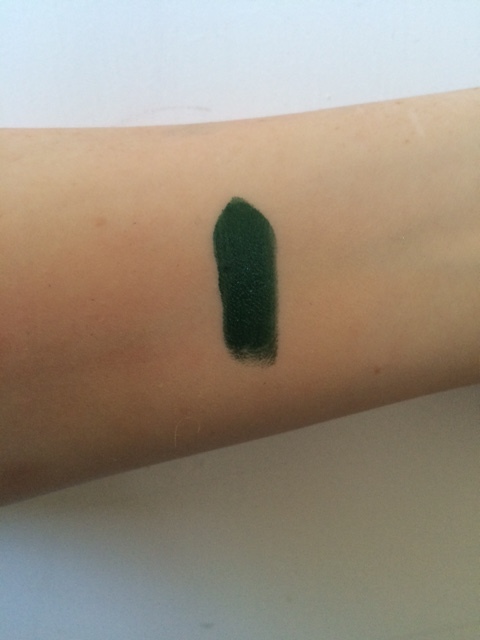 I’m not sure why this is, as other pictures online of this shade are much brighter, so I might put this one down to my skin chemistry. 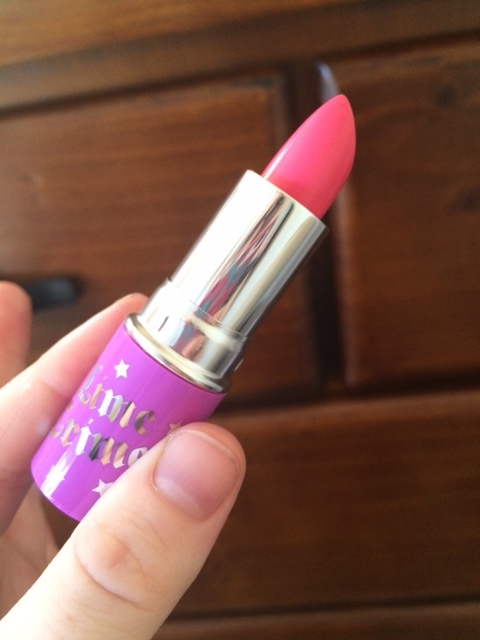 It’s still a gorgeous pink that really brightens up my complexion! 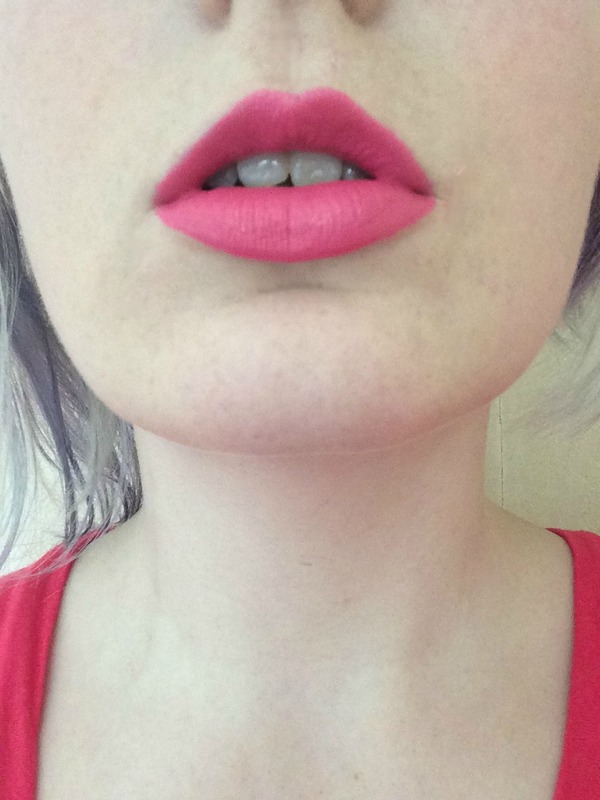 A lot of pinks tend to lean towards the fuchsia end of the spectrum at the moment, so this lippy makes me very happy. The only downside to it is that it is quite chalky. 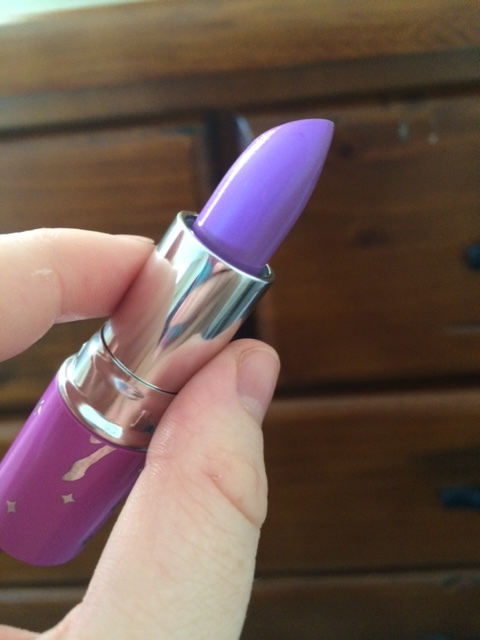 These lipsticks are matte, which means that they are naturally more drying than others, but this one in particular was difficult to get smooth and even on my lips. I found that applying a bottom layer with a lip brush and then a top layer straight from the bullet gave the best results, so make of that what you will. It lasts a good amount of time, although I found that it bled a little if I didn’t apply a lip liner (I use OCC’s Anti-Feathered Clear Primer Pencil). 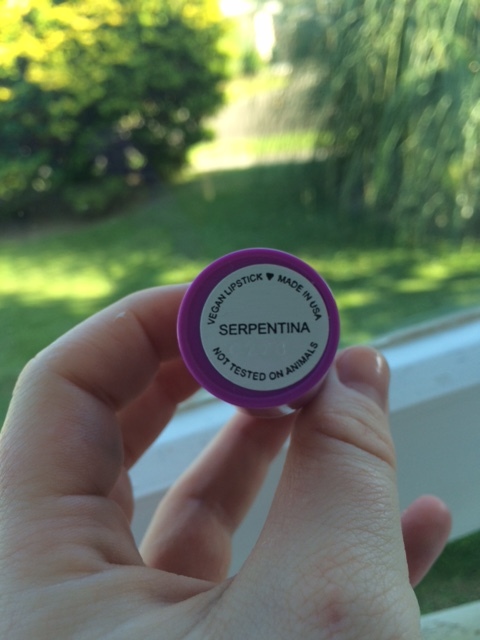 I’d give this lippy 7/10. BOOM! This colour isn’t for everyone, and to be honest I got more than a few weird looks in the supermarket, but I’m so in love with it that I’ve worn it everywhere this past week. In natural light it looks a bit lighter than this, more of a baby blue than anything else. It is the creamiest of the four, and I could apply it straight from the bullet with no issues. 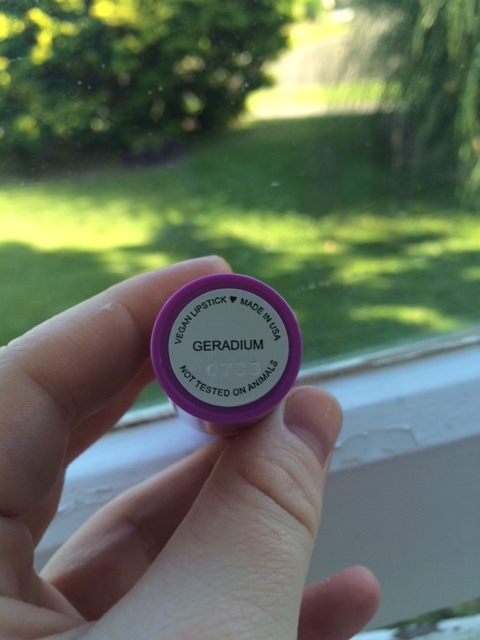 If you want to wear an out there colour but your lips just aren’t in good shape, this is a good one to put on. Make the most of your bad lip day! 😛 It has a bit of a sheen, although it’s still definitely matte. This just won’t budge, even with no lip liner. 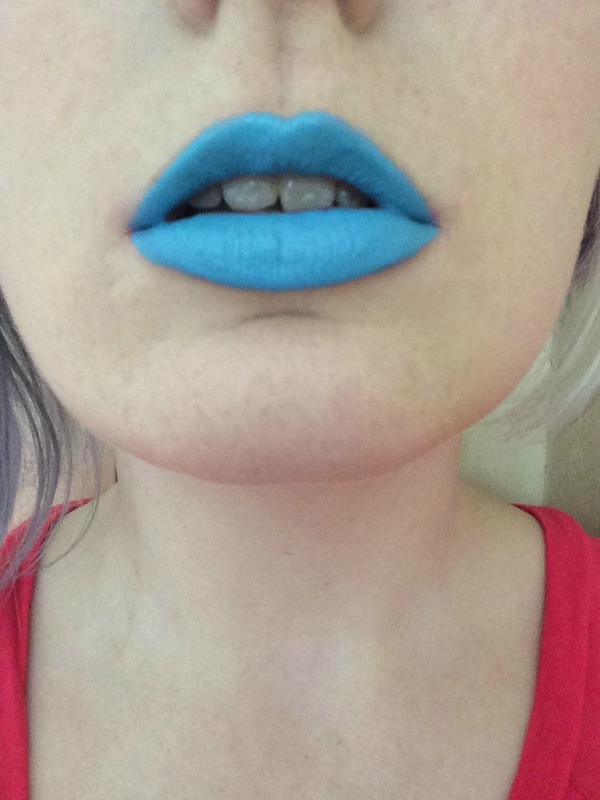 I personally have a lot of trouble with colours bleeding out on my cupid’s bow, but this colour just doesn’t move. It also lasts through eating and drinking, although there is some fade. I even kissed my partner on the cheek, and I still had lots of colour left! Although their cheek ended up a bit blue… Woops! This is a definite 10/10 for me! 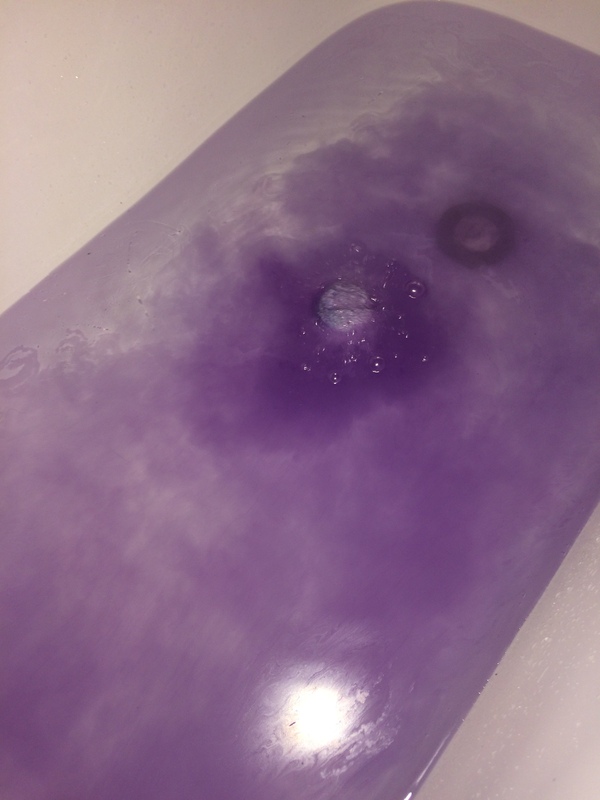 Airborne Unicorn is a candy/lavender/violet purple that kind of defies description! 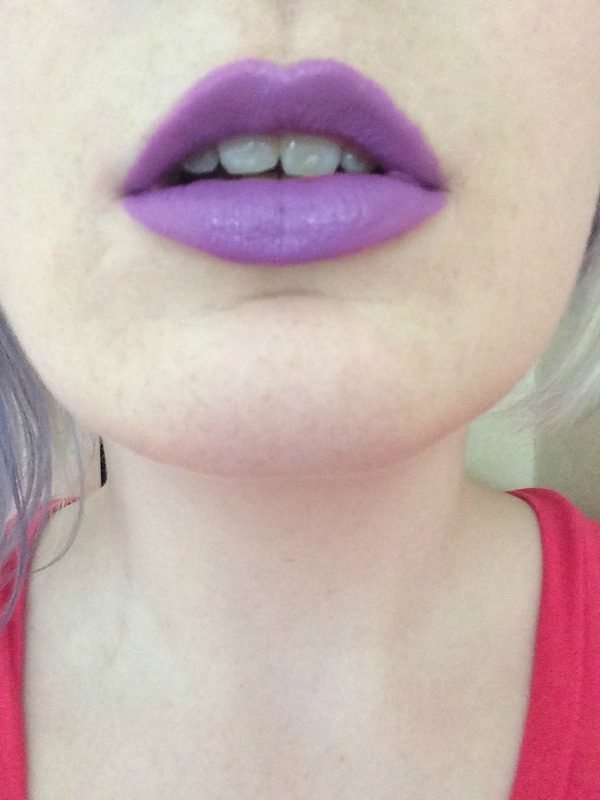 I’m on a purple lipstick buzz at the moment and have far too many of them, but this is a pretty unique shade. 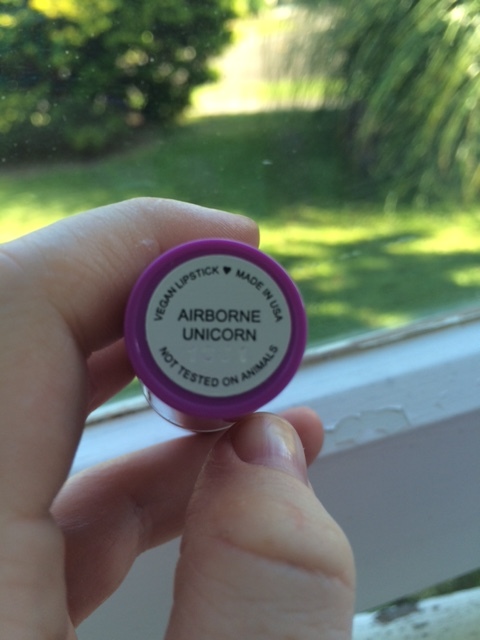 And we have lift off… Airborne Unicorn is a definitely cooler toned purple, and strangely it makes my teeth look whiter. (On a side note, has anyone noticed that one of my front teeth is longer than the other one? I think it’s kinda cute!) The colour is really beautiful on my pale skin, but I’ve seen some gorgeous pictures of people with dark skin where the colour just popped! I see a definite grey undertone in the colour against my skin, which I personally like and think adds to its uniqueness, but be warned if you have my skin tone and you’re looking for something a bit more purple. 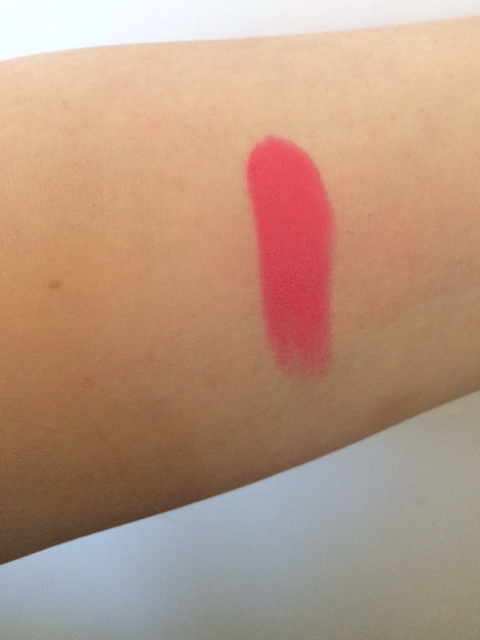 It has quite a wet look, which is surprising considering that it is marketed as a matte lipstick, but I think this has a plus side in that it’s quite easy to apply. I didn’t use a lip brush to put this on, and with a lip liner it had good staying power. 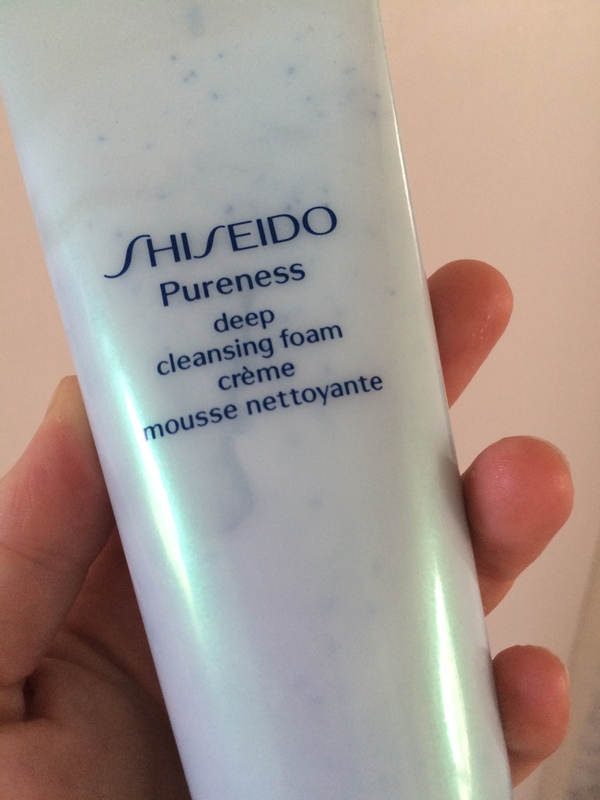 It’s not as creamy as No She Didn’t, but compared to something like Poisonberry (which I also have and will make a post about sometime soon), it’s pretty moisturising. I’d give this a 9/10. 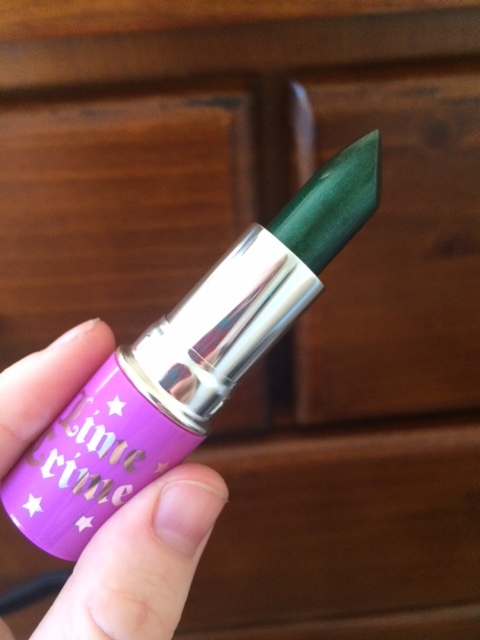 Serpentina is a dark, metallic, forest green that to me just screams witchy fun! It has a definite shimmer to it, but it’s not too frosted to be unwearable. As you can see, I had a bit of trouble with keeping the line sharp on my bottom lip. My lips were pretty dry after all of my photos, so my eczema was irritated by this application. The colour is deep and vampy, and while it’s pretty shocking against my pale skin, I really like it. I think it would be great for Halloween, although knowing me I’ll wear it somewhere like the library… It’s sheerer than the others and needed a few layers to fully build up the colour, which is a downside as it uses more lipstick and the sheerer application looks a bit weak. It’s not too drying, but good lord does it bleed! Even with a lip liner it bled straight away. Perhaps this was my irritated skin? Obviously darker colours take more upkeep, but this is pretty difficult. Taking this into account, I give this lippy a 5/10.